My name is Gal, I'm 28 years old and originally from Tel Aviv. I started studying in the Technion for a double degree in CS and physics at 2009, completed both at 2013 and started my MSc in CS just then. 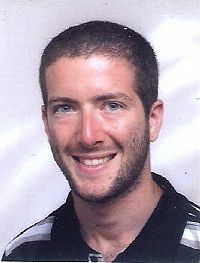 My research topic is information theory and communication complexity, and my advisor is prof. Eli Ben-Sasson. Hobbies and other activities: Music (I'm a saxophone player), sports, travelling and hiking, reading.